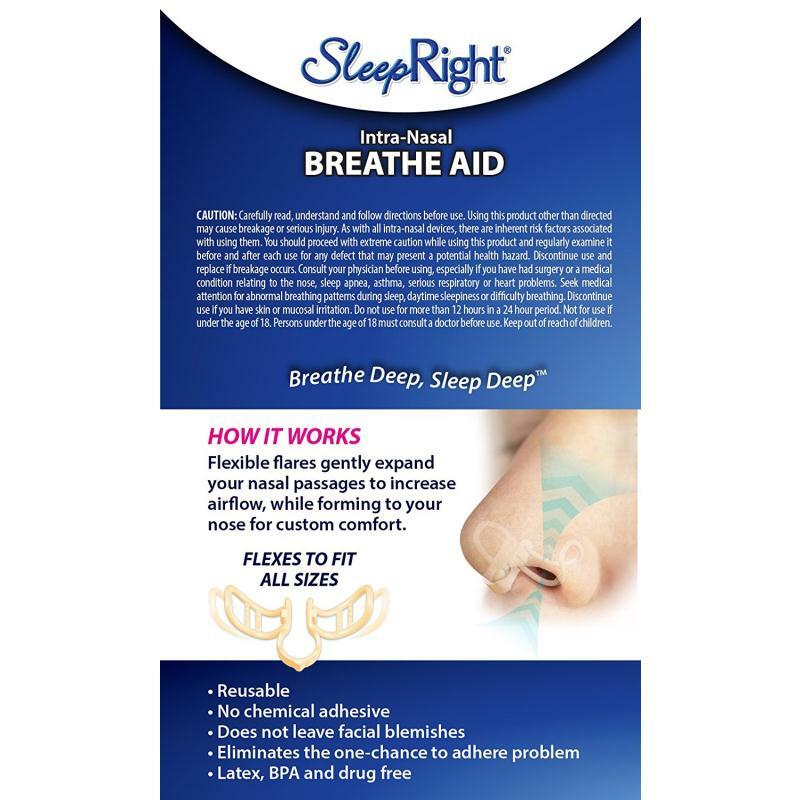 The SleepRight Intra-Nasal Breathe Aid is a drug-free solution to help relieve nasal congestion, reduce snoring, and open a deviated septum, without the use of chemical adhesive nasal strips. 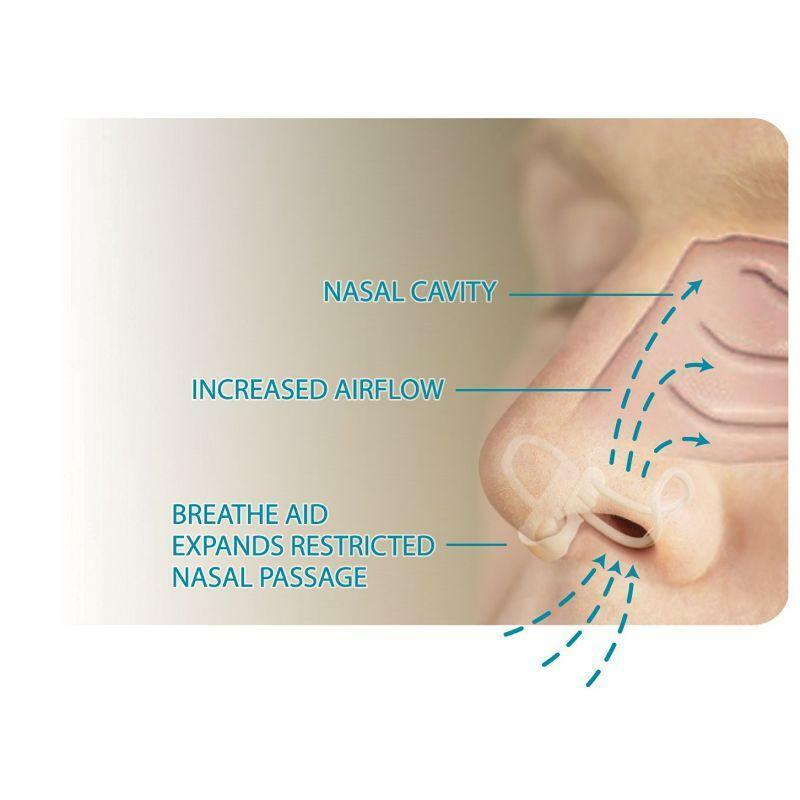 This patented device features flexible flares which, study shows, gently expand nasal passages up to 53% to significantly increase airflow, while forming to the shape of the nose for custom comfort. 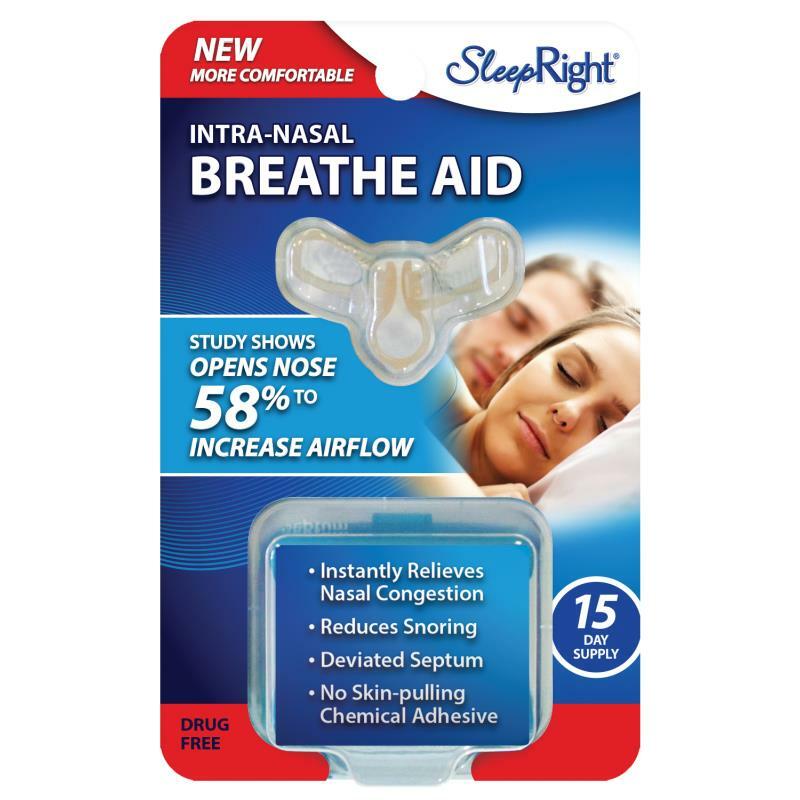 Instantly relieves nasal congestion and helps reduce snoring. Study shows that the flexible nasal flares gently open the nose 53% to increase airflow. Reusable, ready-to-use, and drug free. 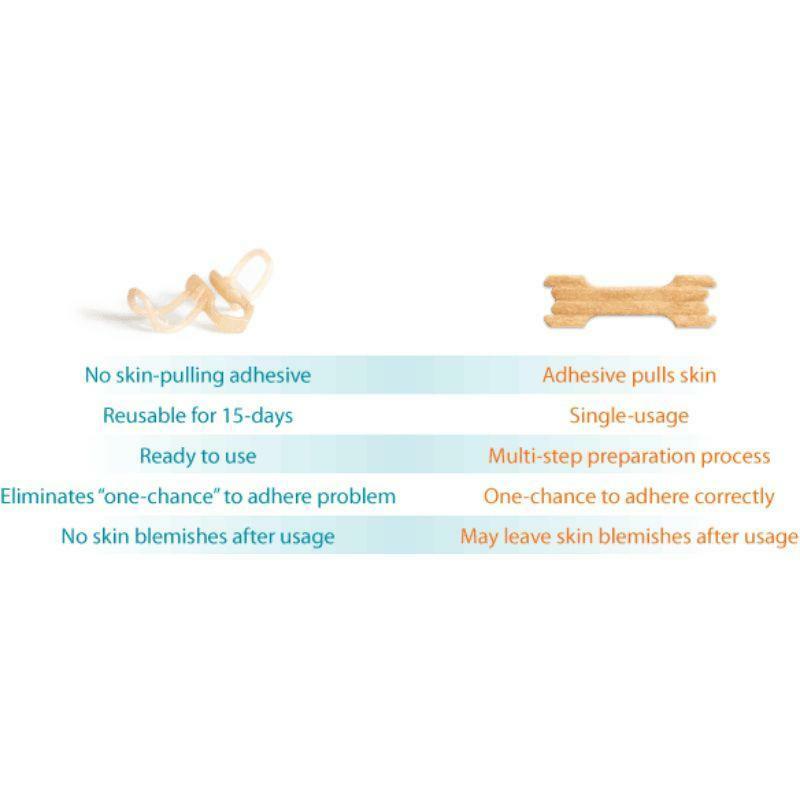 No skin-pulling adhesive. 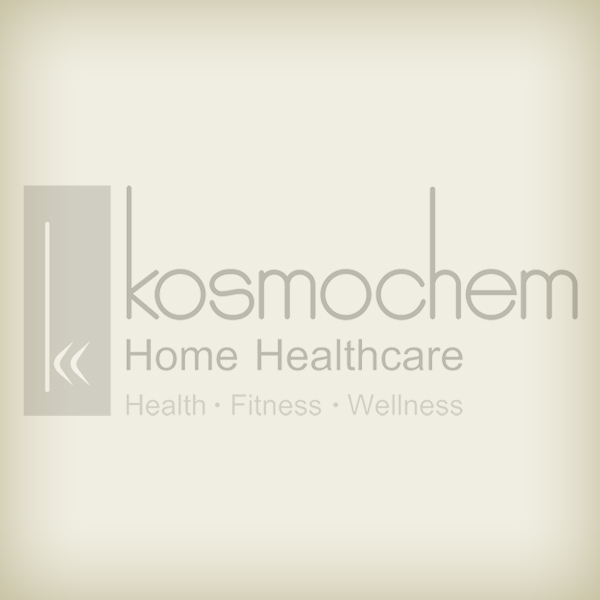 Latex, BPA and drug free.